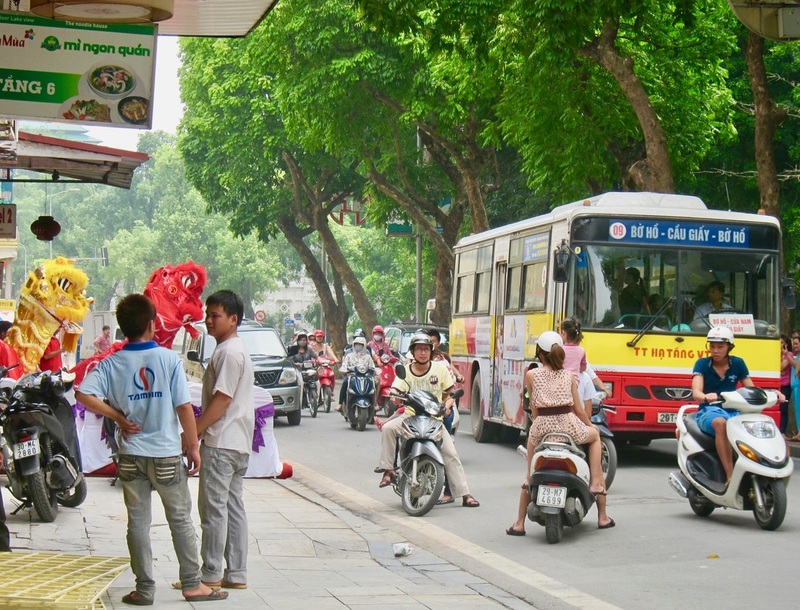 Vietnam constantly reinvents itself and yet retains its old world charm in many of the nooks and corners of its cities. One needs to explore beyond one's comfort zone to truly appreciate the place and have a more meaningful travel experience there. When you plan trips outside of the major cities, join tours. Get a guide if you plan trips on your own outside the cities. The tourism infrastructure like local public transport outside of big cities still is not as developed as the other popular countries in Southeast Asia but it works. 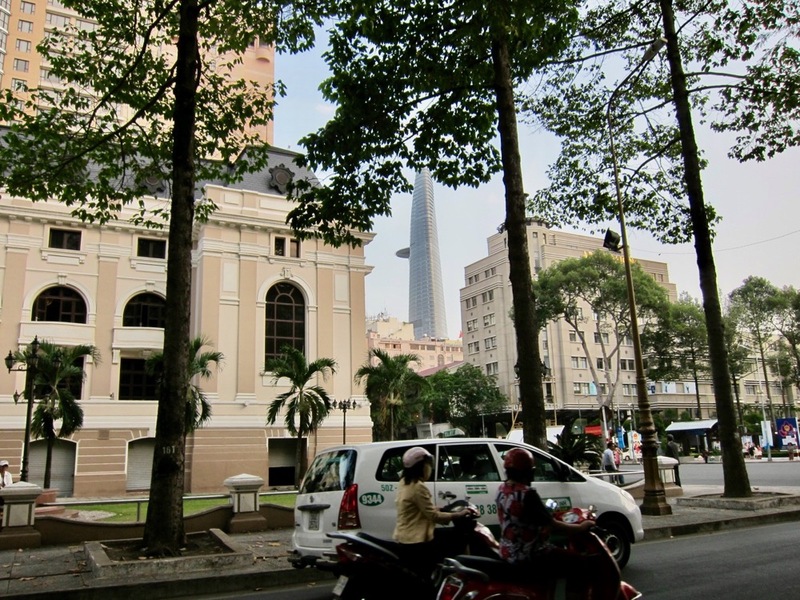 ​In Hanoi, the Train station is not hard to find as it is a beautiful building from the French era. Check the schedule so you can arrange your itinerary. Within the city, taxis abound and they are not expensive. There are many women drivers and they often do not abuse your being foreign and charge double. Ask your hotel to hail one for you, explain where you plan to go and ask for the fare so you have no surprises. There is also safety in numbers and sometimes, you learn more when other people are with you and share some information. You may gain new friends as well. As you can see in the map of Vietnam, the country is long so arranging your itinerary around these major bases will be a much better deal. There are many places to see in Vietnam, many of these are just day trips from Hanoi or Ho Chi Minh or Hoi An. 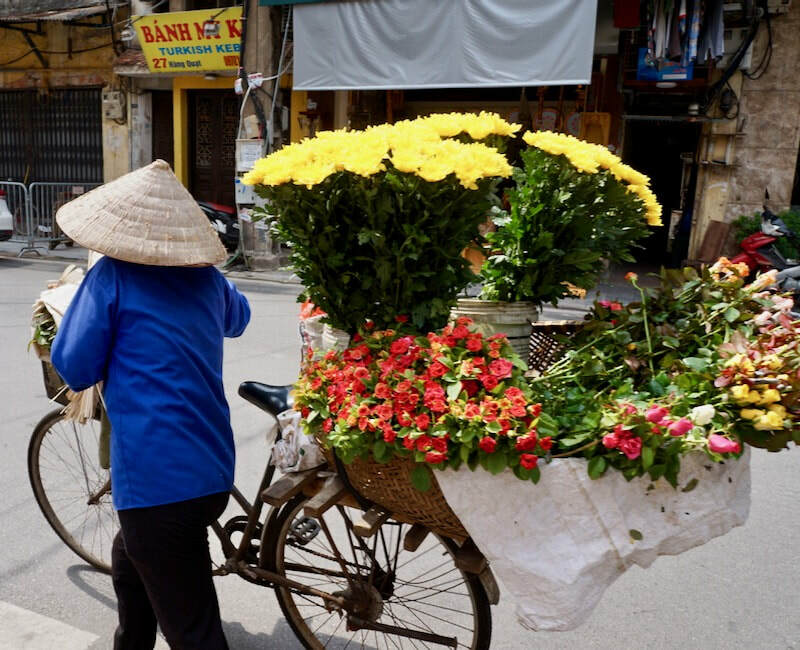 These three places can easily be your base for your visit of Vietnam, Hanoi in the north, Ho Chi Minh in the South and Hoi An or Da Nang in the centre. From Hanoi, you will be able to explore Sapa, Ninh Binh, Perfume Pagoda, Bat Trang Ceramic Village and a host of other craft villages. 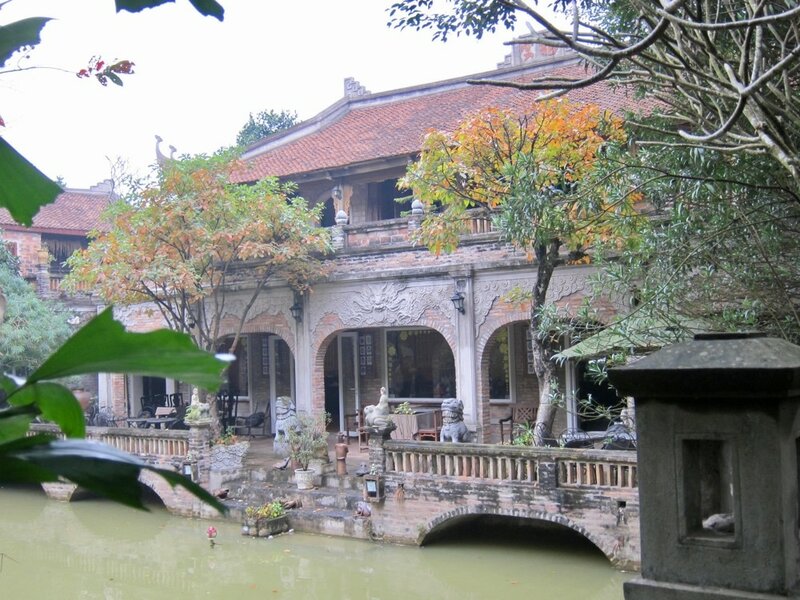 You can also visit Tay Nguyen where jungles with waterfalls and lakes and rivers offer much adventure, and various ethnic traditions entertain you with feasts and festivals as well as other cultural vignettes. For the Gong enthusiasts and collectors, this is the place to go and learn the different kinds of Gong and its various uses in community life. From Hoi An or Da Nang, you can visit the old Cham UNESCO World Heritage site of My Son, the old Imperial capital of Hue with its magnificent Citadel and tombs as well as mouth watering dishes, and beaches. For the more adventurous, you can visit many ethnic communities in the hillsides and observe their unique ways as well as see their unique crafts. You must take long walks to reach some of these villages but it is worth it. From Ho Chi Mihn, you can cruise the Mekong Delta and visit Da Lat. For flower lovers, Da Lat will not disappoint. The Mekong Delta is interesting if you're interested in rural villages, and the plants and fruits unique to the area. 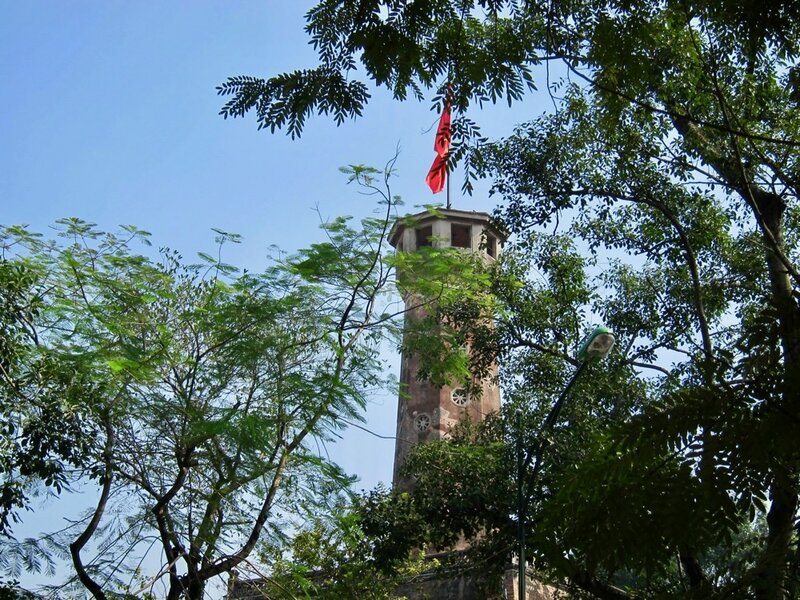 Plan your Vietnam visit around these centres and you will experience much more of the country. As you can see in the map of Vietnam, the country is long so arranging your itinerary around these bases will be a much better deal. 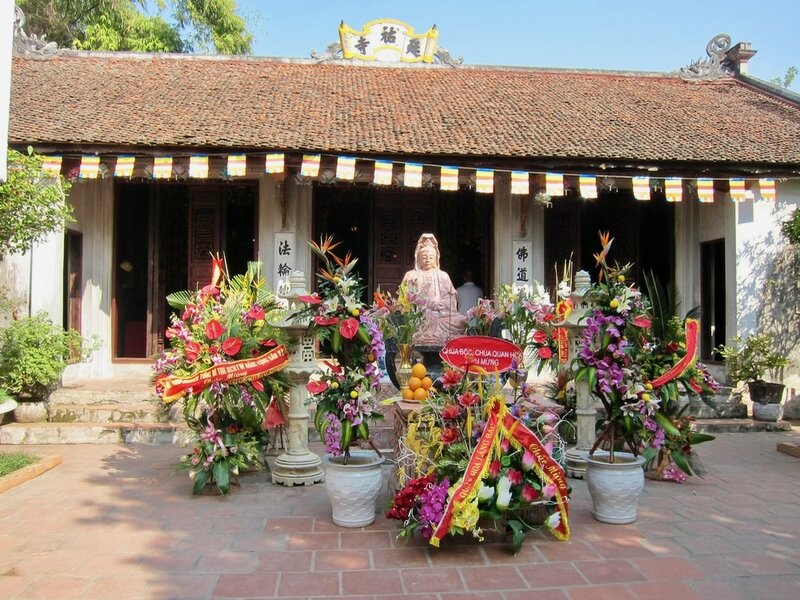 There are many tours in a number of Vietnam's popular tourist destinations. These tour operators know exactly where to bring you so you will not be wasting time. They have deals with local operators and often, these are more advantageous. That is, of course, on the premise that you choose a reliable tour operator. English is not yet widely spoken so it is helpful to have a guide to help you understand not just the language but the local customs as well. Besides, they are there as well to manage the crowd of hawkers in places where you need to take boats. You can easily be inundated in some places. There are many students who volunteer as guides in exchange for practicing their English. 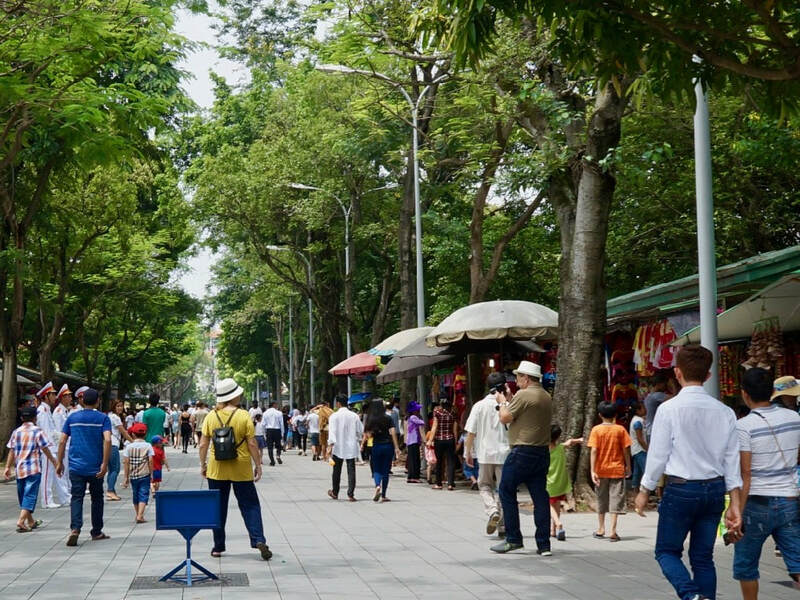 They come in groups in popular tourist spots such as Hoan Kiem Lake in Hanoi. Always place a scarf in your purse, something you can use to cover your legs and arms when entering sacred places. Often, these places have something for rent or sale at the entrance to enable you to go inside when not dressed appropriately. They will not eat you. Kindness and respect go far. Sit in one of the street food stalls and enjoy food with them. There are so many motor bikes so observe the protocol before attempting to cross the road on your own. ​It is better to use the road crossing with traffic lights. Join a group so transport stop for you. Always align yourself with the group as the Vietnamese drivers skirt around you. Avoid going back and forth in the street. You can always cross with the street vendor, the road experts. The sidewalks are always full of activities. Used as kitchen with various dishes being cooked or prepared, living room to entertain friends, or dining room. There are cages hanging on tree branches, rooftops, or awnings of stores. Enjoy it. ​Travelling to Vietnam always brings you in the midst of noise. You seem to find yourself often surrounded by people and the streets are full of activities which can overtax your capacity to absorb. More so, if you want to listen to music as you walk about. This is a worthwhile investment if you travel often. Nothing can compare to this Bose model that is more portable. Get one and enjoy all your trips. The bars can close their doors with you inside but the police eventually come. Take it easy. Do you have other tips to add to these? Please leave in the Comments below.